You Need a Solution? We Can Design and Build It! 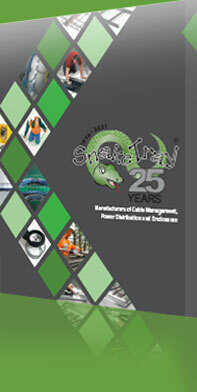 Snake Tray has the engineering expertise and manufacturing capabilities to help you design the right solution in cable management, power distribution or enclosures. If you do not see the product you need, please inquire and our team will collaborate with you to develop a solution.